No matter how we hard tried our Scout Troop planning seemed to be losing the battle for for space on crowded family calendars. Participation in our program was all over the map, some events would be well attended, only a handful of Scouts would show up for others. Patrols were rarely at full strength and our youth leaders were batted back and forth between conflicting commitments. After years of frustration I decided to find some answers. I looked hard at our Scout troop planning process. For two years I tracked participation metrics, and discussed the issue with parents and Scouts. I came away knowing our Scouts don’t lack spirit and energy, our families are not indifferent or too busy, and our program is not flawed or irrelevant. The real problem seemed to be how we built and managed our calendar, and that problem was easier to fix than I thought. The first misconception is our Scout troop planning is actually competing with other activities. We want to cooperate, rather than compete, with everything our Scouts choose to do. This requires our plans be flexible and accommodating. These other activities outnumber us, fighting them is a waste of time and energy. If we cooperate with their schedules and commitments our Scouts and our program win. The second misconception is our Scouts or their families are the problem. We think today’s Scouts are unwilling to make a serious commitment to the program, or their families just don’t get it. This is blaming the customer for not appreciating the product rather than looking at the product itself. If we continue to blame the customer we’ll never find solutions. The third misconception is the program is the problem. 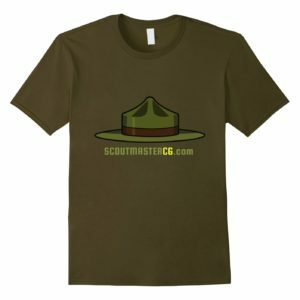 We hear that kids just don’t want to go camping anymore or Scouting is too old fashioned. We assume we have to have a new approach to attract them (aka STEM, or other non-scouting activities). Some cite poor participation as evidence Scouting no longer relevant, that there’s some basic flaw in the program. Our outdated practices and habits are irrelevant, not Scouting itself. If the problem isn’t Scouts, their families, or the program what is it? Spoiler alert! The problem is how we create and manage our calendars. Scouting is all about showing up. Scouts who can’t or won’t show up don’t get much out of Scouting. It’s frustrating when a mere handful of Scouts show up for a meeting or camping trip. When youth leaders are absent things fall flat. Half full patrols can’t function as intended. When patrols suffer so does the troop. The program is full of energy when whole patrols and all the youth leaders are present. High participation makes us eager to improve the program. Strong programs lead to even higher participation. A solid program is the first step to increased particpation, but that’s a subject for another article. The next step is looking at how we create and manage opportunities. Our calendar defines opportunities, and participation drives the quality of our program. That’s worth repeating – Our calendar defines opportunities. Scouts often involve themselves in one or more extracurricular school activities. Most also do things like music lessons, tutoring, church groups, and sports leagues. A schedule roughly corresponding to school quarters. Our troop planned an annual calendar, and operated on an ala carte pay-as-you-go basis. We built our annual calendar once each year, and tried to avoid conflicting events with mixed success. We held a meeting to go over the calendar with parents assumed they would simply follow our plans. Within a few months we had to make at least one but often several changes to the calendar for various reasons. Try as we may our changes were never communicated effectively to families. We handed out camping permission slips each month. No matter how relentlessly we chased parents down for signatures and checks we didn’t get most of them until the week of the trip. We often had to change our plans, or even cancel trips at the last minute. Our annual calendar pulled in one direction, last minute changes pushed in another. This pushing and pulling created needless frustration and confusion. Wait a minute, you may be thinking, what’s so difficult about following an annual calendar? I manage to plan around it, why can’t everybody else? Remember what I said about blaming the customer? Is this actually their fault or can we create a less frustrating and confusing alternative? When I looked at these things in my own troop it became clear we were serving the calendar more than it was serving us. We were doing things this way because it was what had always done. Step one is building the troop calendar around school quarters like other activities. This is easier than you think. We still have an annual plan sketched out, but we focus on quarters. As it turned out we already had a well attended “cornerstone” event in each quarter. Backpacking in the fall, a winter parent and Scout weekend, a featured trip in the spring, and a week at summer camp. This leaves two trips each quarter our patrol leaders council plans. Our Scouts often repeat trips they enjoy, so planning them is easy. How Scouts plan these trips deserves more space than I want to take here. I discuss planning in this post about fifteen minute patrol leader training. Looking at this from a quarterly, rather than annual, perspective opens up other opportunities. We now have quarterly parent’s meetings, and exchanged monthly permission slips for quarterly permission slips. We schedule a combined parent’s meeting and court of honor three weeks before the next quarter. Rather than trying to do this on another night of the week we do it in place of a troop meeting. We are trying to make things easier, and parents already have this night of the week on their calendar. We tell parents to prepare to make commitments for the coming quarter at this meeting and bring their family calendar and checkbook. As Scouts prepare for the Court of Honor their parents go over the next quarter’s plans with the Scoutmaster and committee chair. The Court of Honor follows and we have some light refreshments. We aim at an hour or less for the entire evening. At the meeting we hand out a permission slip covering all three camping trips for the next quarter. We ask for completed permission slips and payments that evening, or within the next week at most. Our quarterly permission slip eliminates the continuous stream of individual permission slips. It also cuts our administrative load by more than half. For a troop averaging 30 Scouts ten outings a year means a potential of 300 permission slips and checks. We reduced that to 120. Securing a payment for the next three trips creates a further incentive to participate. It is understood the payment is not refundable for any reason. That sounds harsh, but we’ll be spending that money on the outing whether the Scout attends or not. This is also consistent with the policies of other activities I mentioned above. If you sign a child up for six weeks of music or karate lessons and miss one because they are sick you most likely get no refund. We need a completed permission slip from every family. 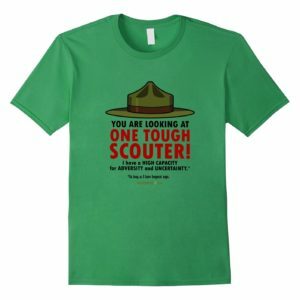 We tell them we need this whether their Scout is attending any of the camping trips during the next quarter or not. We generate rosters for the next three camping trips with the completed permission slips. It’s a giddy feeling having a solid camping trip roster that far ahead. We can make final adjustments to our plans if participation is more or less than we expected. 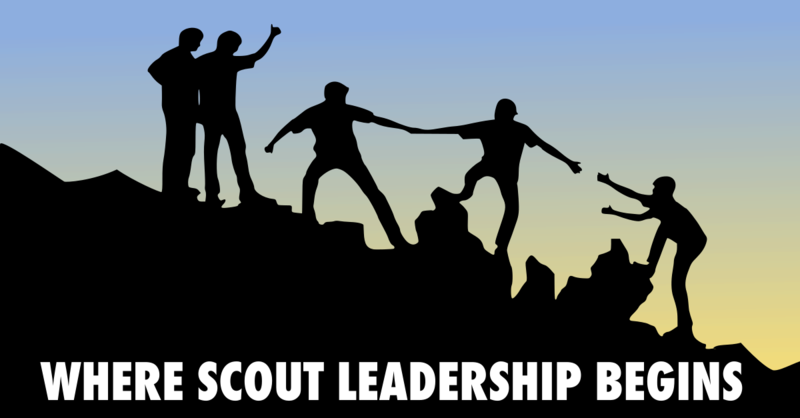 When Scouts take on a key leadership role we expect a level of commitment to our calendar. Like it or not these Scouts do other activities. It’s inevitable they’ll miss at least a few meetings and trips. Absences of several weeks or even a couple of months are not uncommon. 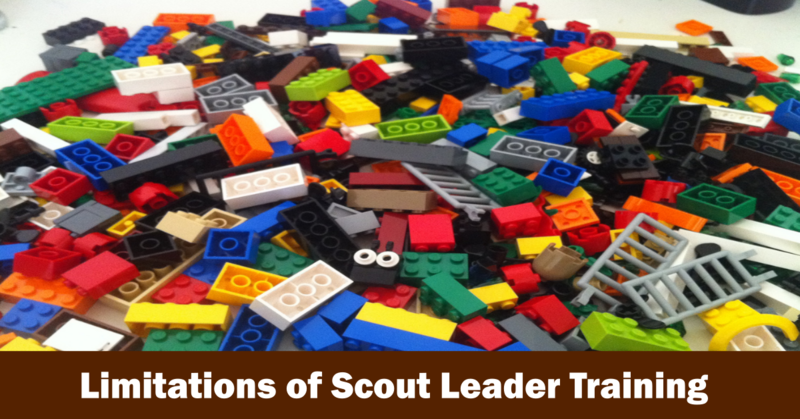 A Scout who isn’t there isn’t developing leadership skills. Nobody is happy when this happens, but it does happen all the time. We can blame the Scout, we can blame the other activities, or ask ourselves if there is a way to make things work. I don’t know about you, but I have had my more than my share of frustrations and resentments with this issue. I have tried a dozen different strategies to fix the problem and none of them worked. A frank assessment of how we were doing things revealed a broken system. Our expectations were not merely unrealistic, they were impossible for most of our Scouts. We were doing what we had always done, and it wasn’t working. Finding a solution began with turning things around. Rather than expecting them to work with my calendar, I would work with theirs. This led me to shape leadership opportunities around our quarterly calendar. Quarterly changes of youth leadership may sound like heresy to some veteran Scouters. Before we go on let’s be sure we understand advancement policy and positions of responsibility. 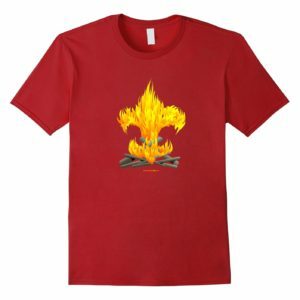 To advance Scouts fulfill four or six month tenure requirements in positions of responsibility (POR). 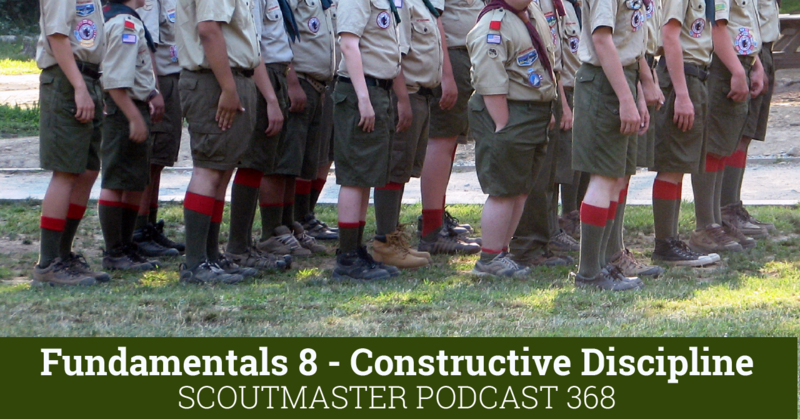 Tenure does not have to be contiguous, Scouts can meet the requirement with more than one POR. For example a Scout can serve for three months in one POR and one month in another. They can also serve two months, take four off, and return to any POR to fulfill the remaining tenure required. Take a look at the Guide to Advancement for all the offical verbiage (see 4.2.3.4 Positions of Responsibility), and read my post on positions of responsibility. Years ago like most troops our key youth leaders served year-long terms. A decade or so back we started holding elections every six months. I talked with the patrol leaders council about making elections quarterly instead of every six months. At first they didn’t like the idea, but we talked it around for a few weeks. They soon realized the new approach would create more opportunities, they could make a real commitment to a shorter tenure, and they could have a broader experience. We also discussed how this change would help them choose the best candidates for key positions. They agreed Scouts in key positions of responsibility would ideally be on all three trips for the quarter. We launched our new approach, and it started paying dividends right away. That first quarter four of our older Scouts decided to try out for marching band, a big commitment of time. They knew they’d miss all that quarter’s meetings and camping trips so they wouldn’t be considered for a position. They weren’t disappointed because they also knew they’d have the opportunity when they returned towards the end of November. Most importantly – during the first year we used the quarterly plan our senior patrol leader and patrol leaders participated in about 90% of meeting and outings. 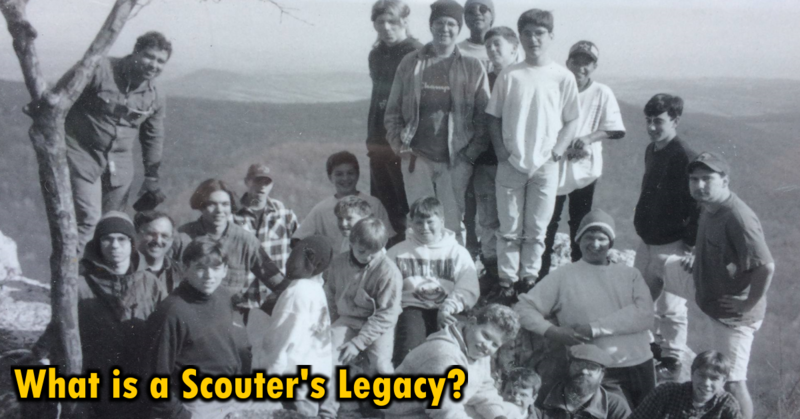 I can’t recall enjoying that level of engagement during the first 30 years I was Scoutmaster. 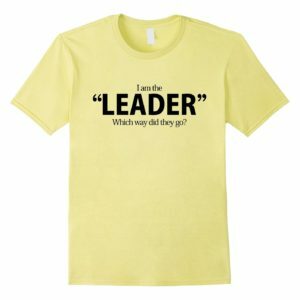 Is three months long enough to develop leadership? 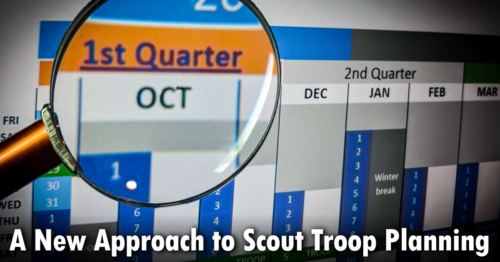 First, the quarterly plan does not limit the length of time a Scout can be in the same POR. A Scout can continue in the same role from quarter to quarter if the patrol leaders council thinks it’s a good idea. But, is three months is long enough to get the developmental benefit of a particular position? I’ve learned the time required to reach developmental milestones scales to the time Scouts spend in a given position. A crew chief on a high adventure trip or a fill-in youth leader at summer camp reach the same developmental milestones in a week as others do in six months or a year. A week of 24/7 days is roughly equal to two months of meetings and camping trips during the school year. They go through the same steps, it’s just the steps are shorter in length. Is three months is long enough to learn the job? In some positions yes; in some, no. But we have to ask: is our goal Scouts learning to do a certain job well, or developing leadership skills? If it’s the latter the length of time in a given position is immaterial. The skills they learn in one position also apply to another. There’s also a lot to be said about the benefit of three solid months of consistent attendance and dedication to the job. If a Scout can’t take part consistently over a six month term (think about how few can) they aren’t getting the full developmental benefit anyway. Even the most involved Scouts ought to be able to make a solid three month commitment to a position of responsibility that won’t be interrupted by commitments to other activities. In the past we’d have to ask if Scouts were getting much out of three active months of a six month term interrupted by other commitments, and if that was the best way of fulfilling the tenure requirement. Now Scouts make commitments they can actually keep and there’s no question of what’s expected, or how to meet those expectations. Our new approach relieves the pressure of feeling hassled by your Scoutmaster, or that you are letting your fellow Scouts down, when you aren’t there. The quarterly plan creates a positive “no harm, no foul” atmosphere and doesn’t penalize Scouts for doing other activities. Scouting works best for Scouts in a patrol at critical mass with a patrol leader. Under our old calendar it was not unusual for only two or three members of a patrol making it to an outing and patrol leaders were often absent. We’d end up combining patrols or appointing substitute patrol leaders. As a result patrols didn’t function as intended. Under our old calendar we adjusted patrol membership once or twice a year when we had leadership elections. If a patrol fell below critical mass or had some other problem they could spend months languishing in limbo waiting for the next election. Now we make adjustments to patrols based on our quarterly roster. If a patrol has few Scouts signed up for camping that quarter we adjust. We can also address other problems with patrols every three months. At first I thought this was too often, but most patrols experience fewer changes than before. More importantly we see full patrols with their patrol leader present at meetings and camping trips. Principles, Practices, and Rules of Thumb. If you think we created a many absolute rules and procedures for quarterly plan, you’d be mistaken. Instead of a fixed set of rules we apply common sense principles and rules of thumb. Our ruling principle is fairness in applying the Scout oath and law. When we start with that in mind the solutions are clear. Ninety days is just about the perfect length of time for our Scouts and families to make future commitments and plans. A month is too short, and a year is too long. The most difficult thing we had to do was shift our inside-out perspective and look at what we doing from the outside-in. When we did we found we were planning and managing a calendar based on assumptions that haven’t been true for a decade or more (if, indeed, they ever were). We also had to question some long held assumptions about developing youth leaders and the patrol method. 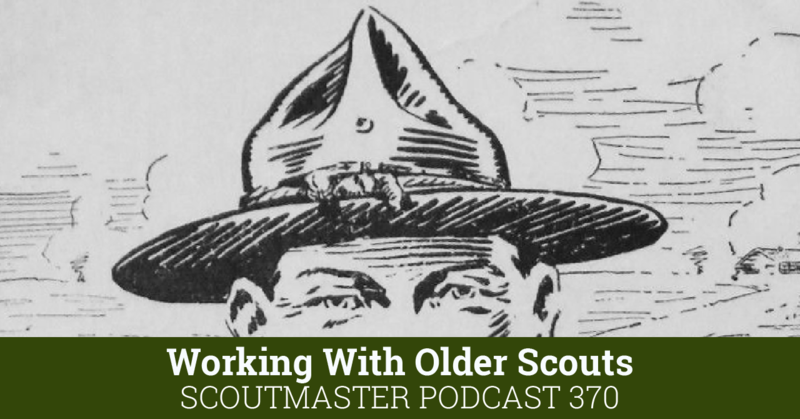 Was our old approach serving the best interests of our Scouts, or serving traditions and outdated habits? Once we summoned the courage not only to ask the questions, but hear the answers, the rest was easy. What do you do with boys who indicate they don’t want to participate in the quarter’s campouts, and then decide to show up at the last minute? Clarke, can you post what a 3-month permission slip looks like, if it’s not the standard BSA single-event one? thanks! How do you carry the boys on the roster when they explicitly decide that this isn’t going to be their quarter for Scouting? For example, the older Scouts that tried out for marching band – did they stay in their existing patrol(s)? Or did they move to an “inactive” patrol for that period? It really doesn’t matter because they weren’t there. Their registration status didn’t change and since they weren’t there at all we didn’t need to factor them into that quarter’s activities. As always, your well-reasoned advice is both principled and practicable; thank you, Clarke! A request – in your followup, please comment on how troop-wide “Service Projects” fit into the Quarterly Solution and whether you’ve seen an uptick in their participation. While these may require permission-slips they don’t require a financial commitment. Accordingly, what tips can you provide for compelling their participation? I assume that your troop includes some troop-wide service-projects in your annual sketch. If so, how many or how frequently? if my assumption is off-base, perhaps your troop relies solely on ad hoc Eagle- or patrol-focused projects to fulfill service requirements? We have a couple of annual service opportunities that we share with the Scouts and coordinate at a troop level (manning water tables and helping with a local 5K charity run for example). There are Eagle projects and I suppose other service opportunities I may not be aware of. No scout is compelled to participate in them. Our Scouts meet advancement requirements for service in as many ways as there are Scouts. These are often through school, church, or family activities. Sorry to nitpick, but second paragraph “handful of Scouts would how up” should probably be “show up.” Catching it on my second read. Very interesting and possibly helpful for my unit. Appreciate the information sharing. I have always been perplexed by several planning issues. 2. The ReChartering process begins in November for January, which runs to December. 3. We are pushed by District to enroll new Tigers for the Pack in August, but when we do, we have traditionally reregistered other Cub Scouts at the same time…but the Tigers pay the same amount, and so we end up flipping for three months for the Tigers gratis. 4. We have tried to do annual planning, and increasingly that has been really a challenge for time. Quarterly planning is an outstanding idea. The calendar almost creates itself. This makes budgeting and fund raising a lot easier too. 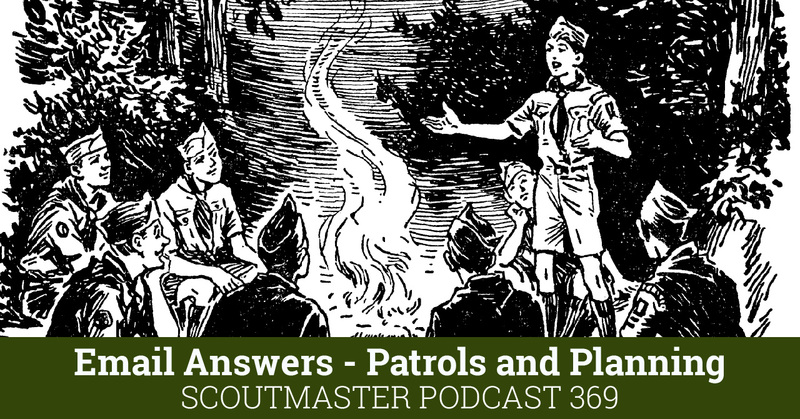 Excellent suggestions on how to make Scout troop planning more effective. Especially, the ideas on planning annually AND quarterly. I like your blogs. Your podcast are awesome but blogs let us read it over and over. So have you discussed the no patrol patches before? If not, could you tell us about that decision. Could you create an info-graphic that represents a basic timeline for things you would do during the year. Maybe start with a band showing the quarters, then another band where planning, training, elections, and other activities would occur. I’m not sure what it would look like but I bet you could put something together real nice. I will put together some practical application resources about the quarterly plan. As for patrol patches, I haven’t really discussed it before, but it’s simple. Our Scouts have never really thought that much of patrol patches, flags, etc. I have encouraged them over the years, but never really got the Scouts all that interested. Is that a typo? Did you mean “Participation Drives Everything”? Good eye! Thanks! I fixed it. 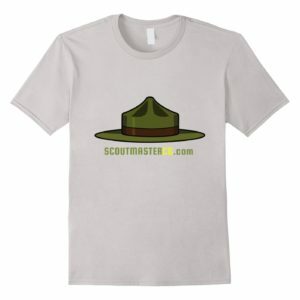 Does your troop have patrol patches? If so how do you handle it if you rearrange patrols. Not opposed just looking for advice. We donlt have patrol patches, so it’s not an issue. Thanks, Clarke. This article did a lot to help me put some of my own thoughts together and to show additional reasons that planning less than a year at a time can work. You stated that there are anchor events and then two other events per quarter. Do you schedule these other two events at the annual meeting or are they done on a quarterly basis? We sketch out a year’s plan based on the four cornerstone events. We try to have things set two quarters ahead, this doesn’t always happen. I am going to follow up on this post with some more practical advice about exactly how we made this work. One important thing is scheduling camping trips on the same weekend every month, (1st, 2nd, 3rd weekend etc.) that way families know when we are camping even if they donlt know where or exactly what we are doing.